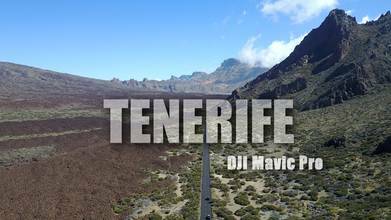 Check out this stunning drone video of Tenerife in the Canary Islands, compliments of contributor Gabika Travel. Tenerife is the largest of the seven main Canary Islands, which constitute a semi-autonomous region of Spain. The video will take you first to the area around Mt. Tiede, the great volcano which created the island. Much of the rest of the video is filmed around Santa Cruz de Tenerife, the colorful port town (and regional capital) on the island's northeastern coast. Description: Tenerife is the largest of Spain’s off West Africa. It's dominated by Mt. Teide, a dormant volcano that is Spain's tallest peak. Tenerife may be best known for its Carnaval de Santa Cruz, a huge pre-Lent festival with parades, music, dancing and colorful costumes. The island has many beaches (with sands from yellow to black) and resort areas, includingstian Los Cristianos and Playa de las Américas.